Hunt & Coombs Solicitors are delighted to announce that they have grown their family team further by appointing new Associate, Hannah Byatt, to their Peterborough Office. They have also further strengthened the provision of family and divorce legal services in and around Huntingdon with popular family solicitor, Giuseppe Pingerna, covering the growing market in Huntingdon and St Ives. 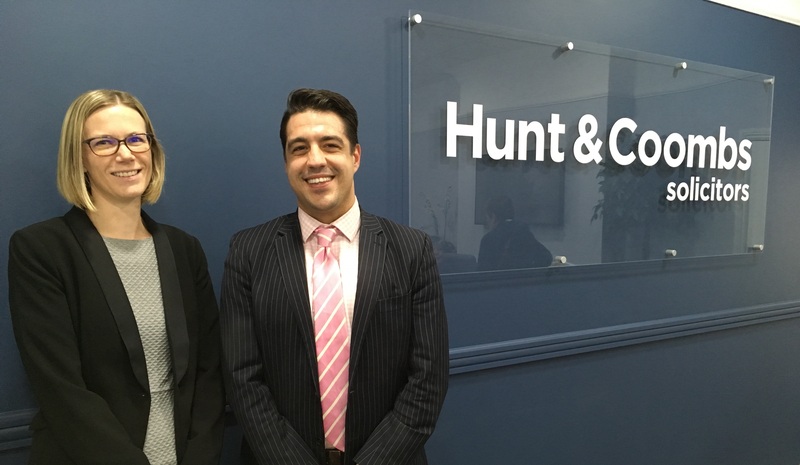 The Family Team at Hunt & Coombs has been going from strength to strength in recent years with record numbers of clients seeking their services. They have one of the strongest teams in the region with three recognised Leading Lawyers for the whole of East Anglia in the prestigious Legal 500 rankings – more than any other firm in the region. Hannah joined Hunt & Coombs in October from local firm Jeffrey Mills. Hannah qualified as a solicitor in 2007 after winning a law prize and gaining a distinction in family law whilst completing her Legal Practice Course. Hannah specialises in all types of family work and supports her clients with legal advice for divorce and children cases. Giuseppe is recommended by the Legal 500 guide and joined Hunt & Coombs in 2015 after being admitted as a Solicitor in 2013 and has worked in or around Cambridgeshire ever since. He has acted for a growing number of clients in the area during this time and deals with most areas of family matrimonial and divorce law. Giuseppe is bilingual in English and Italian and his clients appreciate his frank straightforward advice and sympathetic approach. He will lead the growth in family work from the Huntingdon office. Hunt & Coombs Solicitors has been established in the Cambridgeshire area for over 80 years with Offices in Peterborough, Oundle, Huntingdon and St Neots. The firm offers personal and corporate legal services to businesses, individuals, the rural economy, landed estates, charities and schools with a personal touch backed up by professionalism and expertise.